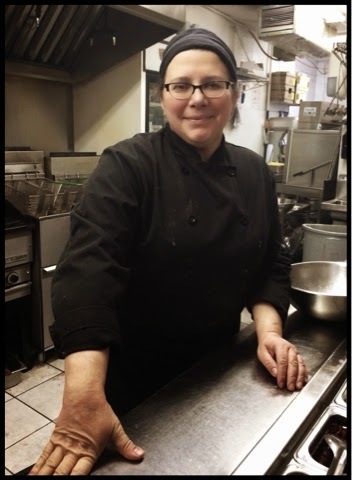 Working in a restaurant kitchen isn’t necessarily a battleground but for Morgan’s executive chef and Chopped Canada champion Anne Sorrenti, going to battle on the infamous Food Network show meant being a little bit of a warrior even if she didn’t know it. If you, like Pioneer, tuned in to the show this past Saturday you will have seen one of our favourite neighbourhood chefs up against some tough competition in the kitchen arena. We weren’t worried for a minute though, since we’ve always had a love affair with many many dishes on the Morgan's menu – most recently the mouthwatering brisket tacos. So. Much. Yum. But we digress….. True to character, Anne moved through all the challenges in the Chopped Canada kitchen with the determination of a ninja but the steady head (and hand!) of a zen master. No ruffled feathers on her end, even after being challenged to make an entree using sour gummy worms and leftover butter chicken. In her own words, Anne says that she didn't go on the show to be someone else and wanted to remain focused and thoughtful just as she would in her own kitchen. "On the show, you can tell the other contestants didn't think I would make it past the first round, but as I said, I knew they would underestimate me because I didn't have culinary training and am industry trained," she told Pioneer over a table at Morgan's. "But I love cooking, I've been working in kitchens since I was 15. I brought that experience to the show and to the competition." In the end, her practical approach – and three pretty stellar dishes - won her $10,000 and won Morgan’s the bragging rights of a Chopped Canada champion. And about keeping it a secret from everyone? "I'm so happy to be able to talk about if finally! I've been holding this inside for almost a year!" she told us with a huge smile. In all honesty, Pioneer believes that although this is great for Anne and Morgan’s, we didn’t need the Food Network to tell the world what we already knew! Anne is an amazing executive chef who plans menus that are fresh, exciting and gastronomically superior to a lot of other restaurants. Most importantly, the quality of the ingredients and the quality of the meal are of the utmost importance to Anne and it shows at the table time and time again. If you didn't see the dramatic kitchen showdown, you can watch it online at Food Network Canada or you can just head over to Morgan's and see our real-life celebrity chef in action in her own kitchen! According to notable historian Jordan St John, it was beer that built this city from the doors of dozens of local Toronto breweries that slowly disappeared as the 20th century marched forward. Everything old is new again, as craft beer sales are on a meteoric rise and Torontonians are fervently embracing the small batch breweries that make them. While everyone is eager to discuss the beer monopoly and the how craft beer sales will work in Ontario, Pioneer wanted to learn more about the people behind the beer, in particular the guys and dolls that run our shiny new east end breweries. Our first stop was Muddy York, one of the three new kids on the brewery block bringing their cool factor to the east end. 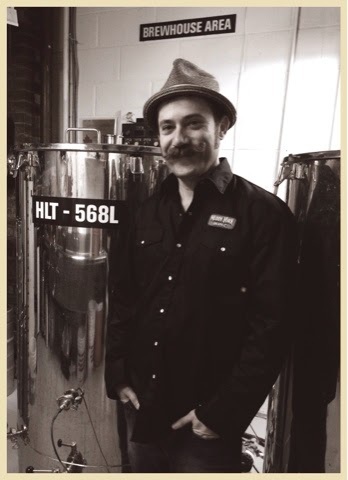 Although the small batch brewery is located in a secret hideaway across the O’Connor bridge, Pioneer was thrilled to discover that Brewmaster and founder Jeff Manol lives a stone’s throw from Pioneer HQ and is a solid Danforth East-er. Although Muddy York has only been on tap since this past January, Manol has already established a strong following among beer lovers and his first two brews – a Porter and an Amber – can be found all over the city. Even with years of expertise in brewing, Manol found out the hard way that opening a brewery is really hard work. His plans to open in 2014 were delayed, primarily in order to get the brews exactly right (our intensive research has confirmed this is true!) which has certainly paid off. On the Danforth one of Manol’s favourite haunts is The Wren, which was also ironically the very first place to offer the Muddy York porter on tap and where it has stayed a regular up on the daily tap board, attesting to it’s popularity. What we love about Manol is that he lives a double life, like a lot of us around here: working a regular day job while simultaneously chasing a passion. He plans to switch that up in the future, with dreams of one day brewing full time. He has a store front planned for his current location but is positive that in time he will expand and be running Muddy York from a larger, more central location (and hopefully on the Danforth!). For now, if you're looking for a pint and The Wren is packed, you can also find the good stuff at The Borough! 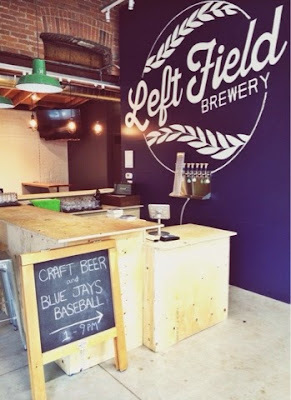 Next up, Pioneer is visiting with the next new kid in the east Left Field Brewery and their shiny new digs. Plus, stay tuned for more about the mystery Danforth Brewery! Pioneer and the juniors, plus a whole gaggle of other tiny friends, finally made it out to @EveryonesLocal - otherwise known as Local 1794, the restaurant we broke the news about way back last summer when it was just a sign and some craft paper. We're sorry we took so long! We don't want to write too much, since it's already been covered by The Star over here and by BlogTO here. What we do want to do though is highlight how user friendly this local gem is. The Junior Pioneers were in fine form as usual, throwing cutlery and making a good old mess at the table. Our server took it all in stride, even going so far as to hunt down some steamed broccoli for us. We didn't exactly love our veggie burger, but that's probably because we shouldn't have ordered a veggie burger. The pizza, exquisite! Wine list pretty solid. Lots of taps for beer lovers. Although the restaurant was empty when we arrived, it was packed solid when we left. As Pioneer and our menagerie of children and strollers blew a storm path to the front door we noticed that almost every table had a small child at it. This is not an accident. Parents with young children hunt down family-friendly places like prey, soaking in the opportunity to have someone else wait on you hand and foot, drink in hand, while the tiny minions ruin the place. 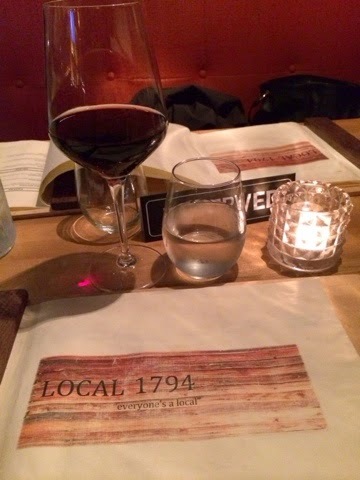 We are all thankful for establishments like Local 1794 that have patience and a good menu. 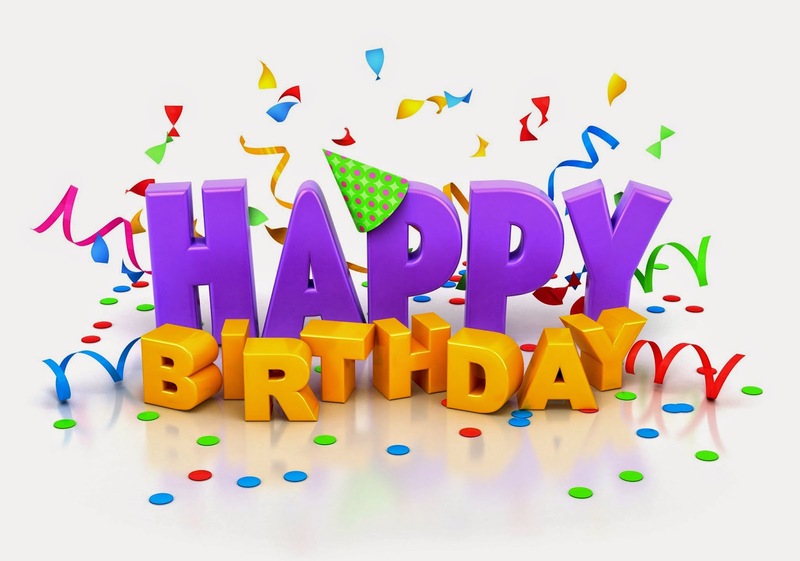 Cheers to many more happy hours on the Danforth! Here at Pioneer HQ, it's a fact of life that we have a weakness for chocolate and pastry. 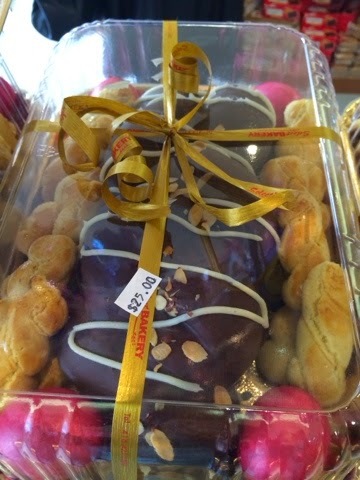 So it's no surprise that at Easter, and pretty much any other occasion, we hop skip and jump up to Select Bakery on Donlands for a fix of chocolate baklava or Melomakarona. Select Bakery is the worst kept best local secret ever. It's not only an amazing local bakery, but also the penultimate Greek bakery in Toronto. The Katsamakis family has been running Select in East York for over 40 years and according to son-in-law Angelo, around this time of year they can't keep their Easter goodies on the shelf. Pioneer fully believes we don't have to be Greek to enjoy the traditional Greek Easter bread called Tsoureki ($9), which in it's standard form is a rich yeast bread flavored with orange and cherry. We here at Pioneer HQ go big or go home, upgrading to the version filled with Nutella and covered in chocolate. It's $25 but will impress even the pickiest foodie at your Easter table. Select sells almost 100 loaves of Tsoureki every day around Greek Easter, which happens on April 12. If you don't make it in time to grab one, fill up a box (priced per gram) with mini baklava or almond cookies as a host gift. Or just for yourself! P.S. Check out their Instagram feed for even more deliciousness! We have a lot on our minds these days, over here at Pioneer! So many new things are going on around Danforth East it's sometimes hard to keep up. Our Top 50 list was pruned and polished before we unveiled it to the world, however, there arose such a hue and cry over some accidental inclusions and deliberate exclusions that we wanted to clear the air. The East York Civic Centre Farmers' Market has been on the list for years, but accidentally slipped off this year much to their chagrin. A lovely gentleman named Peter emailed us to say they would love a shout out. So here you are Peter: East York Farmer's Market starts Tuesday May 12. Don't miss their baked goods and cured meats alongside all the great produce. We're looking forward to spring fresh asparagus! And you all yelled: what about Relish???? Well, we needed to give some love to new restos in the hood, plus we think the food is a little pricey. We still love their live music though so they are unofficially the 51st addendum! Sadly the news about the death of Robert Charpentier, the owner of Comics & More, did not reach us at Pioneer HQ so we included it on the list. However, even though the store is now closed we aren't taking it off. Within the communal social narrative of this neighbourhood, Robert will live on as the comic book guy in many many people's memories (which you can see here on Reddit) so we're leaving it on as a tribute to his years of dedication bringing joy to people through comics and illustration.